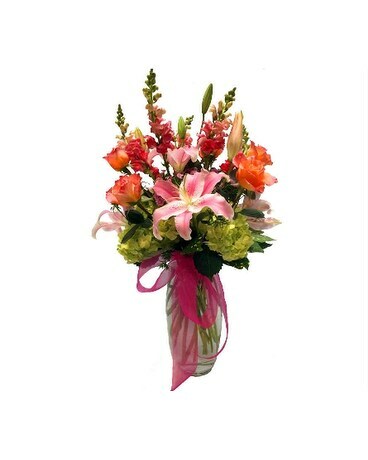 A juicy fruity arrangement of spider mums and Free Spirit roses! 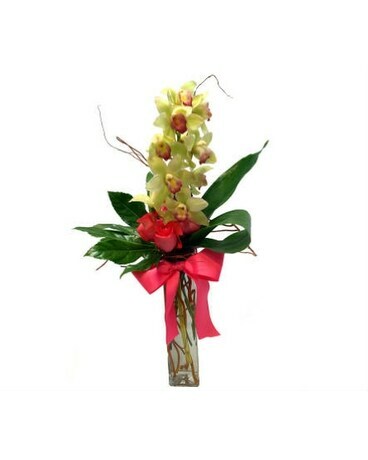 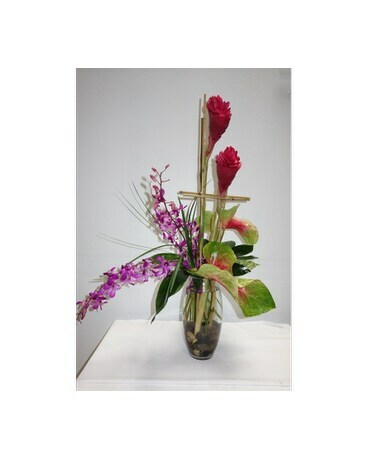 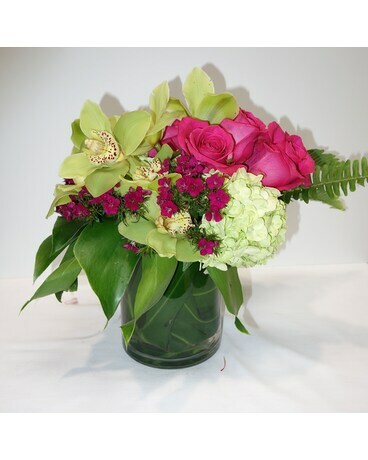 Pink Floyd roses, green hydrangea, hot pink dianthus, green cymbidium orchids are accented with Sword fern leaves and Monstera leaves. 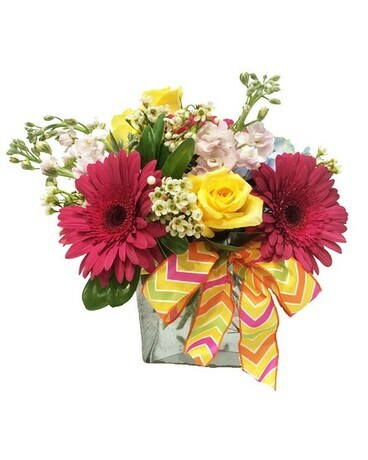 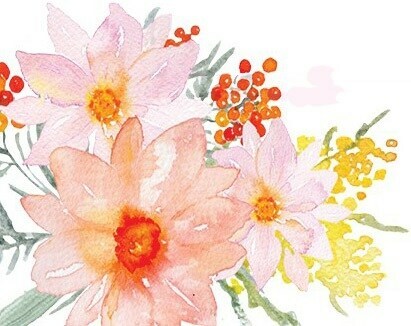 Bright spring florals make a SPLASH! 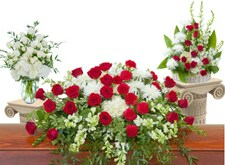 Hydrangea, roses and snap dragons bring in the sunshine.